The Grateful Dead have one of the most unique culture of fans in all of music. And it’s the Deadheads and the band’s openness and intimate connection with their fans that made The Grateful Dead Movie one of the best concert films I’ve seen in a long time, and possibly ever. Seeing the new version of this legendary and 2 hour plus rockumentary on the big screen for the first time showed me a side of the band and their fans that I hadn’t seen before. I’m not a Deadhead, but I’ve always been amazed at the relationship between the band and their fans. And I couldn’t help but think about last year’s Phish 3D adventure, and how road trip stories make following the The Grateful Dead cross-country such a vital part of the Deadhead experience. And as the movie began, and the previously unreleased interview footage of the Jerry Garcia interview unfolded, I sat back and was amazed at what he said about his approach to live performance. This new interview footage of Garcia was woven into various spots during the movie and there were two moments and stories that Garcia shared that made me think differently about what goes on inside an artists mind during a show. And it was Garcia’s thoughts and feelings and their impact on the fans and the band, that made the movie more real, human and provocative than when I had seen it before. Giving context to that comment, Garcia told a story about how he would go back and listen to a show’s recording and realize that what he thought was a terrible performance was actually a great one. Then later in the movie, he told a second story of how after one show, he was so upset with his performance that he pushed bassist and longtime friend Phil Lesh down a flight of stairs as they came off the stage. He admitted that they were on drugs and tripping at the time, but he said that most of the reason why he did that was because of his fear that the show was so bad and that the band was not in sync. Gracia chuckled then wrapped up the story by saying that they ended up using that same recording on a future album and that after that moment he never again worried so much about whether or not he felt the show was good. And ever since I heard Garcia tell that story I couldn’t help but be amazed at his profound dedication to live performance. In fact, his dedication was so strong that it actually manifested itself in a complex mix of fear of separation from his bandmates and a fear of letting down himself and his fans during the show. I never considered this before, but as I thought about Garcia’s comment, I thought how I can also creatively relate on one level, because as a writer, I often go a little crazy at times thinking that the concert reviews or other posts that I write aren’t good enough and that readers won’t like it and I will look like a failure. But what usually happens, is that the things that I am most afraid of aren’t really founded. And like Garcia, the reviews or posts that I have the most fear about being rejected, are the ones that turn out to be the best and most enjoyed posts my the readers. And they turn out to be the posts that I have the most satisfaction from when I can finally chill out and look back with a clear mind and heart. I didn’t expect to learn that during a concert documentary, but I did. And it was awesome! 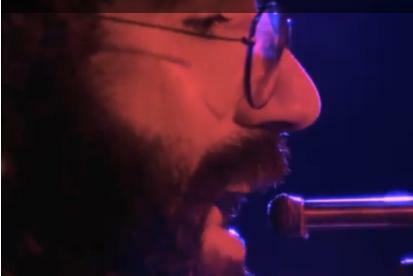 There were other profound moments like that during the movie were you had the chance to go in the mind of the band. But what I also enjoyed about the movie was the excellent storytelling and interweaving of the fan experience. The Deadhead experience is one of the most unique is all of live music and it was captured and celebrated with passion and inspiration. 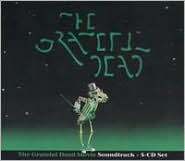 I saw the The Dead at Rothbury 2009 and what I remember the most about being a part of the crowd was how you couldn’t tell where the band ended and where the fans began. And it was that same feeling that amazed me as the movie blended the dancing and completely enraptured Deadheads so beautifully and seamlessly as the band rolled through “Casey Jones,” “Truckin’, ” “Eyes of the World” and other classic tracks. Watching the movie I also thought how other concert movies often spend too much time focusing just on the band performance, and not enough time capturing the fan experience. And it’s was the perfect balance of celebrating both the band and fan that make this movie such a gem of rock doc. There are many moments that made me smile as fans waited outside in line and danced around the Winterland Arena during the 1974 show. During the movie, one fan sat on the side of the stage joyously lighting an intermittent flame with a lighter and some sort of igniter. It was funny thing to see at first, but as the movie developed you saw how the filmmakers creatively incorporated the fan and his wonderful flame in to the beat, rhythm and visual fabric of the show. And besides those moments, there were other palpable sequences that captures the essence of the Deadheads lost in the moment as they freely expressed their inner jubilation and love for the band’s music. Watching it all made me almost want to get up in the theater and start twirling myself. And when one fan in the theater lit up a sweet smelling stick of incense I felt like I was actually a part of the original Winterland crowd. And what I loved the most were the moments where fans shared their own stories telling why they love the Dead and how the seeing the Dead live has changed their life. Again, I wish more concert films took the time to do this and made the fan experience more of the movie, instead of just showing fan faces in pan shots and front rows extreme close-ups. You certainly had the feeling that this show was special since it was shot in 1974, just prior to the Grateful Dead taking a two-year sabbatical. Like Garcia never-before-scene interview, Bob Weir’s comments about the band needing time off to recover from touring so they spend time with family and recharge creatively and spiritually revealed the realness and honestly that makes the Dead one of the best band in all of music history. Weir spoke to the wear and tear that touring can have and how much a band like the Grateful Dead gives to its fans during a show. That said, the Grateful Dead has always thrived on the spiritual and communal connection with its fans, and during Weir’s interview, you had the chance to see how the band deeply respects and cherishes that relationship, so much so that the band agreed they needed to take a break in order to recharge mentally, physically, spiritually and relationally. There’s a lot more about the The Grateful Dead movie that I could talk about, but we’ll share more with you later. This new version with the Garcia and Weir interviews was only a one-time theatrical release and I haven’t seen any news yet about it being available in a DVD format yet. But if it does, we’ll be sure to let you know. If you’re looking for a great place to download Grateful Dead live recordings and interviews, check out Wolfgang’s Vault. They’ve got an excellent collection of Grateful Dead merchandise, concerts and downloads. .
For more info about Wolfgang’s Vault, check out our review and an article about Live Fix and WGV listed in The Wall Street Journal for top place on the web for online music experiences. Did you see the movie too? Do you have a Grateful Dead concert story to share? We’d love to hear what you thought, so please drop a comment below. Live Fix Radio: Who Really Wins The Battle of the Bands: Fans, Bands or Brands?